Geneva, 12 September 2017: A far reaching Resolution on tackling illicit wildlife trafficking was adopted by the 193 Member States of the United Nations at the final meeting of the 71st session of the United Nations General Assembly yesterday. This political milestone reinforces the focus on key areas in the fight against illicit trafficking in wildlife, including enhanced national legislation, supporting sustainable livelihoods, stronger law enforcement, countering corruption, deploying information technologies and undertaking well-targeted demand reduction efforts. 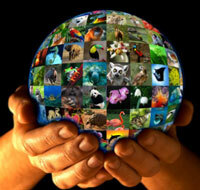 With 9 references to CITES, including 4 references to its 17th meeting of the Conference of the Parties (CoP17, September to October 2016, Johannesburg), the UN General Assembly further recognizes CITES as the primary legal framework for regulating international trade in species of wild animals and plants as well as combating illicit trafficking in wildlife. Many of the species mentioned in the resolution are protected under CITES, such as the elephant, rhino, marine and freshwater turtles, sharks, ornamental fish, pangolins, great apes, parrots, raptors, helmeted hornbill, big cats, rosewood, agarwood and sandalwood. “The UN General Assembly has again demonstrated its strong political resolve to combat illicit wildlife trafficking, including by treating it as a serious crime. In doing so, the UN General Assembly has embraced the ground breaking decisions taken at the CITES CoP17 last year, including the powerful resolutions adopted on countering corruption and cybercrime, taking well-targeted strategies to reduce the demand for illegally traded wildlife, the call to close legal domestic ivory markets in concerned countries if these markets contribute to poaching or illegal trade, and on youth empowerment”, added Scanlon. The Resolution recognizes the important work of the International Consortium on Combating Wildlife Crime (ICCWC), a collaborative effort of the CITES Secretariat, the International Criminal Police Organization (INTERPOL), the United Nations Office on Drugs and Crime (UNODC), the World Bank and the World Customs Organization (WCO), including through supporting Member States in the implementation of the Wildlife and Forest Crime Analytic Toolkit, which is aimed at strengthening the capacity of relevant law enforcement authorities and judiciaries in investigating, prosecuting and adjudicating wildlife-related offences. The UNGA Resolution continues to express concern that illicit trafficking in protected species of wild fauna and flora is, in some cases, an increasingly sophisticated form of transnational organized crime that poses a threat to health and safety, security, good governance and the sustainable development of States. It also emphasizes that the protection of wildlife must be part of a comprehensive approach to achieving poverty eradication, food security, sustainable development, including conservation and sustainable use of biological diversity, economic growth, social well-being and sustainable livelihoods. The Resolution calls for firm and strengthened national measures, and an enhanced regional and global response. It is aimed at both supply and demand sides, including by strengthening the legislation necessary for the prevention, investigation and prosecution of offences, treating certain wildlife offences as a serious crimes, providing for illegal trade in wildlife offences to be treated as predicate offences (for anti-money laundering offences), recording and monitoring seizures and successful prosecutions, supporting the exchange of evidence between States and taking steps to prohibit, prevent and counter corruption. The CITES Secretariat provided support to the UN Group of Friends on Poaching and Illicit Wildlife Trafficking in the preparation of the Resolution.